Foundation is the most primary component of the building on which it stands. The life of the building depends on the quality of foundation. For a good and stable foundation, the structural design of the foundation has to be done properly in a systematic way under the guidance of a structural engineer. If the casting of foundation is not paid attention to and is not laid properly on a stable soil, the structural problems are bound to develop. Every soil has a specific bearing capacity which is very necessary to be checked before designing the foundation. Without the consideration of bearing capacity of soil, the structural design for the foundation may not be suitable for that land. Sinking foundation is a problem that occurs in case of improperly laid foundations which is the result of careless consideration of the soil type. The problems are very crucial and have to be solved as soon as they are detected in order to prevent the structure from further damage. 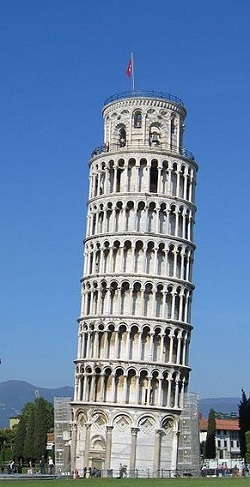 One world famous example of the sinking foundation is “Leaning Tower of Pisa, Italy”. Alignment of doors and windows have to checked. Cracks in the floors, walls and slabs have to checked. Formation of water puddles around the base of your house should not be ignored since it could be related to the foundation problem. What is to be done after you identify the foundation problems? just to get to konw stuff more on my question…. site area was small lake now it dried. water available below 10 feet. good water for drink. for the design are the foundation should we do? our house will constructed with PEB. it should stable g+3 and g+4. Underground water table below 10 feet – is good. Use raft or Pile foundation, it will take the load of G+3 or G+4 easily. It also depends on who is designing the building. Thanks for sharing this post to us. This will help people to know or to identify the foundation problems. Well, that depends how weak the soil is and how much the foundation has gotten dislocated. This post is really informative. Glad to know that there are engineers out there that is willing to offer service in foundation repairs. the first sign of sinking foundation must be diagonal cracks which are like shear cracks on wall. if the entire structure is sinking in very loose soils then only you can see slanting on one side like leaning tower of pisa. but most of the cases one or two column foundations fail where foundations might have laid on filled up wells or loose boulders. while marking columns we should be beware of loose boulders and filled up soils like wells which we tend to ignore. The alignment of doors and windows gets disturbed only if there is a movement of the structure. Since doors and windows are not flexible, their shape and form gets distorted. You should specially check for cracks in the basement floor and roof.